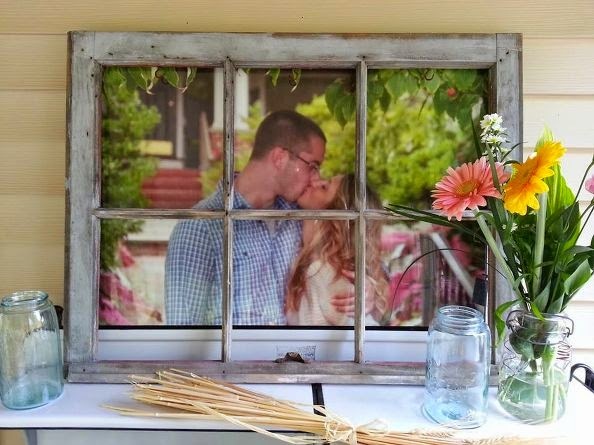 Old farmhouse window panes are great for all sorts of projects. Enlarging your favorite photo and placing it behind the frame is just one idea. 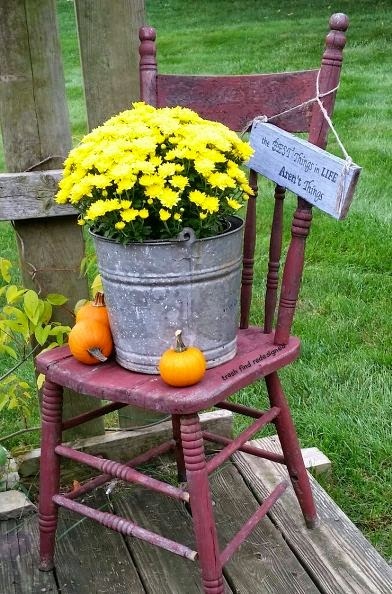 This chair makes a great flower stand. We all probably can find an unused chair around. The best part of the design is using a great color of paint to make the chair pop. 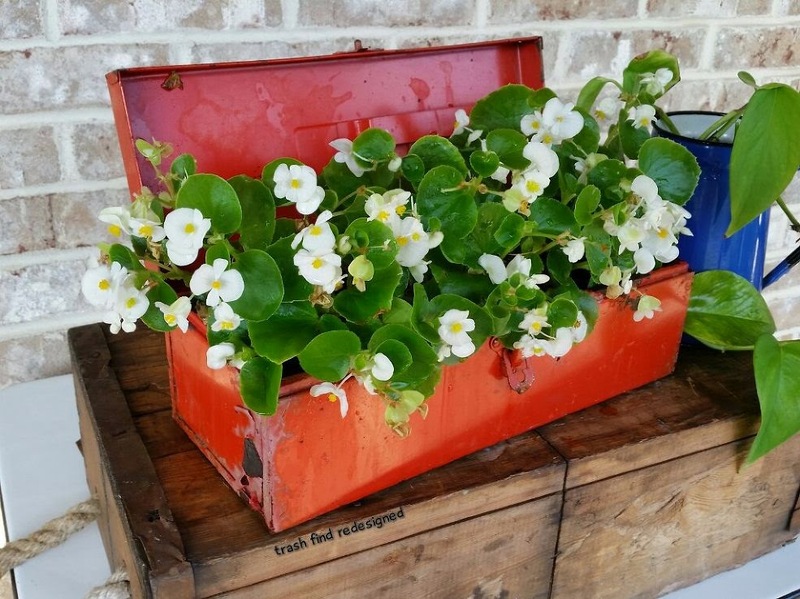 How about using an old tool box for your pansies this fall? 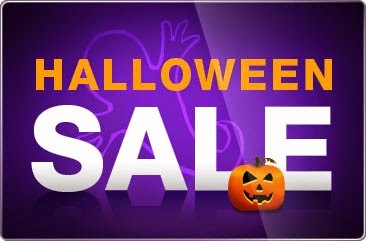 Halloween Sidewalk Sale in North Wilkesboro! We just put out two tables on the sidewalk all Halloween stuff including our remaining lighted prints at the North Wilkesboro Shop with all our Halloween 50 to 60 Percent Off! (Sale excludes our Flags, Mailwraps and Mats). Shop early for the best selection! 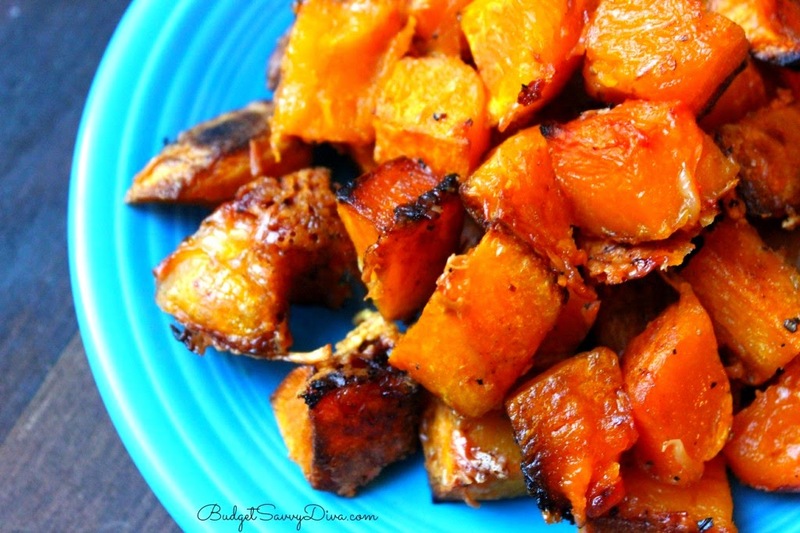 What Better Fall Food Than Butternut Squash? Stir till combine. Place squash on the cookie sheet and bake for 30 minutes - at the 15 minute mark and flip the squash Enjoy! 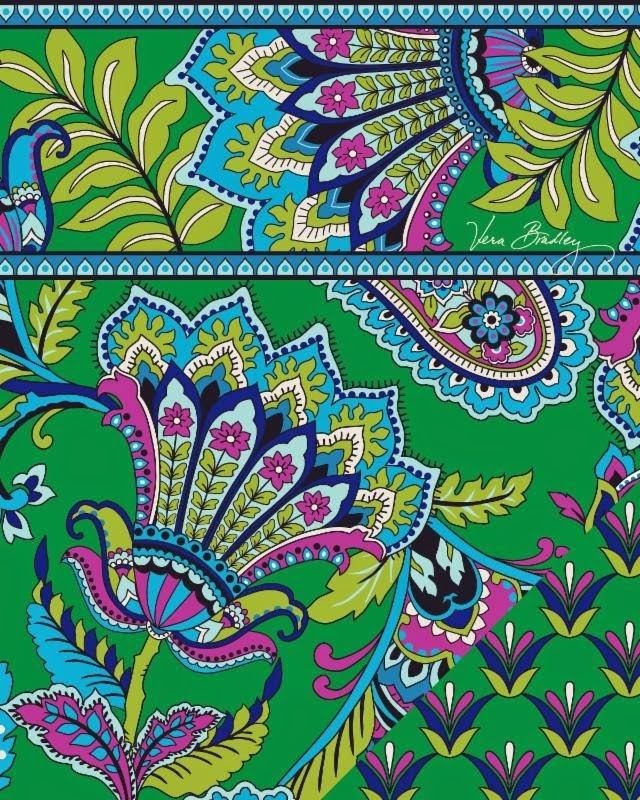 Three Great New Vera Bradley Colors Launch Thursday, October 23rd! 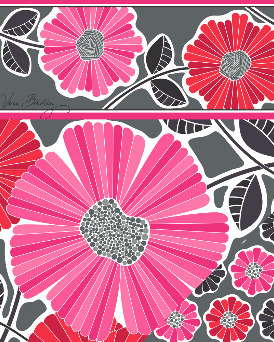 Three great new Vera Bradley colors launch on Thursday, October 23rd and LOTS of new styles! 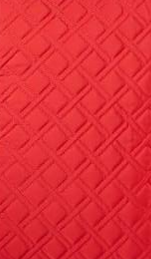 This is microfiber at its best in a true Christmas red. Brilliant emerald green dramatized with touches of cobalt, bright magenta and lime. Oversized paisleys and vibrant colors create a fresh, classic look - lined with a stylized mini fleur-de-lis pattern in a diamond framework. 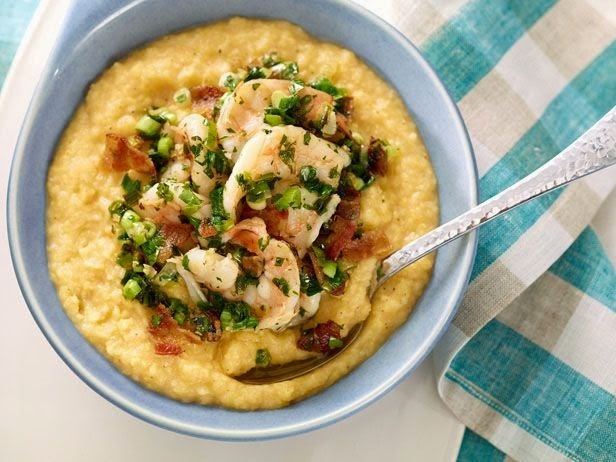 Bobby Flay's Shrimp and Grits` Easy and Tasty! Fall Equals Soup Time! 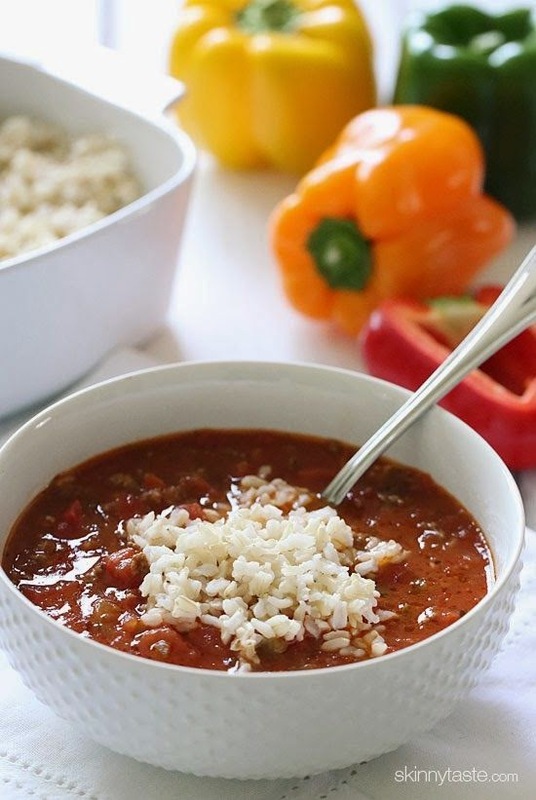 Stuffed Pepper Soup! 2. Cut bell peppers in half lengthwise; discard seeds and membranes. Place pepper halves, skin sides up, on a foil-lined baking sheet; flatten with hand. Broil 15 minutes or until blackened. Place in a zip-top plastic bag; seal. Let stand 10 minutes. Peel and cut into 1-inch strips. 3. Cook the pasta according to the package directions, omitting salt and fat. Drain. 4. Heat 1 teaspoon oil in a large nonstick skillet over medium heat. Add 1/4 teaspoon garlic; cook 30 seconds. Add bell peppers and tomatoes to pan; cook 4 minutes or until tomatoes are tender, stirring occasionally. Remove from heat. 5. Combine remaining 3/4 teaspoon garlic, vinegar, and next 5 ingredients (through black pepper) in a small bowl; stir with a whisk. Add pasta and oil mixture to bell pepper mixture in pan; toss well to coat. Cool slightly. Stir in arugula. 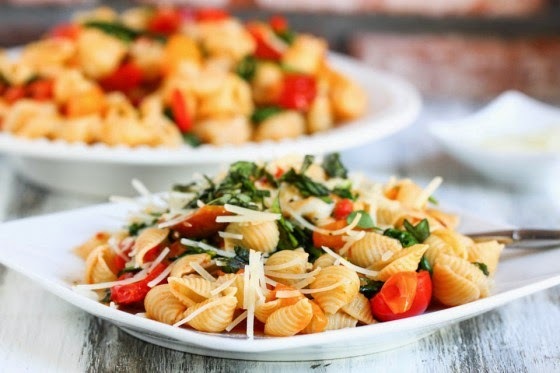 Top each serving with cheese. Combine first 6 ingredients in a large bowl. Add chicken to bowl; toss to coat. Place chicken on a broiler pan coated with cooking spray. Broil chicken 5 minutes on each side. Combine honey and vinegar in a small bowl, stirring well. 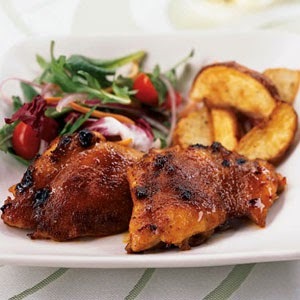 Remove chicken from oven; brush 1/4 cup honey mixture on chicken. Broil 1 minute. Remove chicken from oven and turn over. Brush chicken with remaining honey mixture. Broil 1 additional minute or until chicken is done. Last Call for Bras for our Bras for a Cause Event! Bras are due to one of our shops by October 10th. between October 13th through October 25th. gift for your support of this special event! We challenge our Elkin Shop and our Elkin Customers for a great display of Bras this year, since it will be your first year participating! Please share this email with your friends and family! Here are some photos for artistic inspiration! 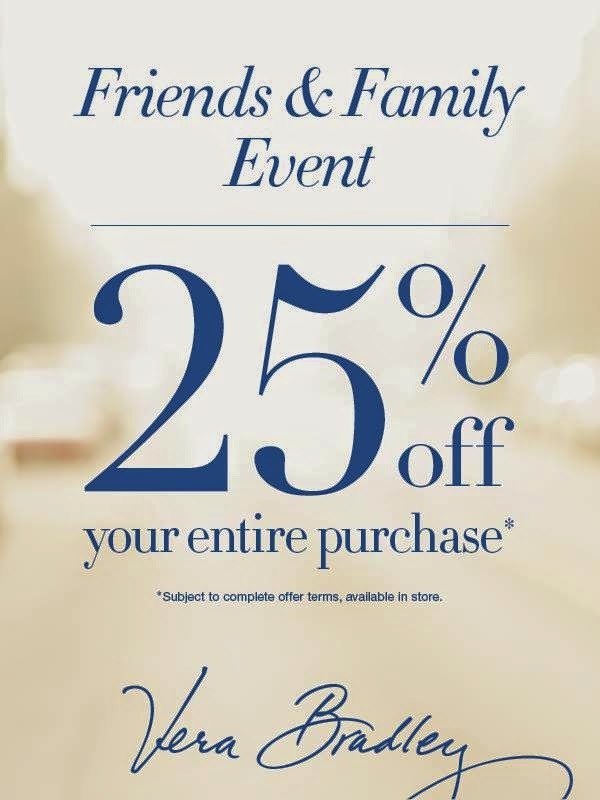 Ivy Ridge Traditions Facebook wall including your email address! Decorated bras are due October 10, 2014. Drop them off to either Ivy Ridge Traditions location in North Wilkesboro or Elkin beginning now. If you have questions about decorating a bra, please call the North Wilkesboro Shop at 336-667-4556. You can also email angela@ivyridge.com. Who can decorate or design a bra? Anyone! It could be you, your relatives or friends, a professional or budding artist, a business or someone who simply wants to participate in a meaningful way. The more the better! No, it is not a contest rather a community event to coming together to aid in the battle against breast cancer. All funds will donated to the Vera Bradley Foundation for Breast Cancer. 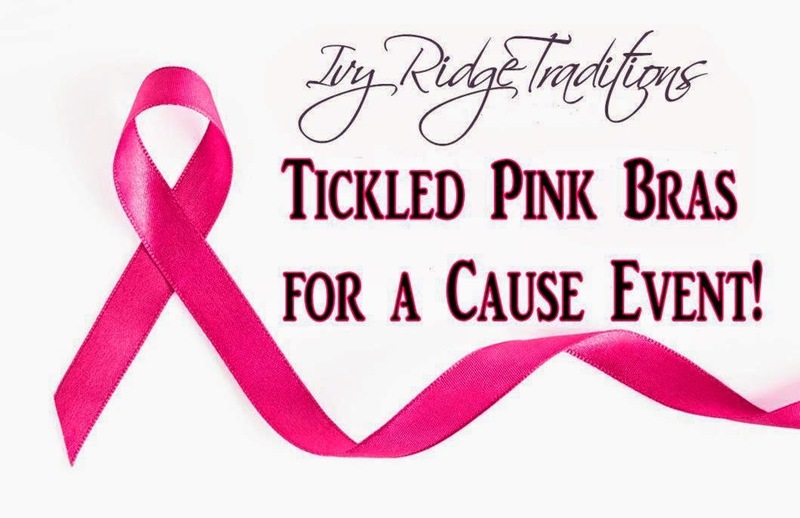 All donations are much appreciated and artist of the bra with the highest donation amount from a combination of both all entries between the two shops will receive a $100.00 Ivy Ridge Traditions Gift Certificate. What happens to the bras after the event? Each bra artist will be able to take home their creations after the event, beginning Monday, October 27th. Do I have to use any special bra? No, you can make your own, buy one, whatever works best for you. The Super 10 in Midtown Plaza , North Wilkesboro, has bras for very reasonable prices as well as Dollar General which has many locations in our surrounding areas.